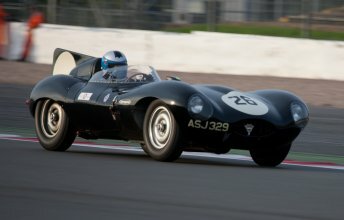 Once again a plethora of Jaguars could be seen in action and at rest in the paddocks at the Silverstone Classic meeting. 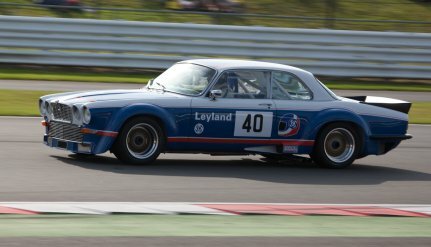 Following the success of last year's fiftieth anniversary race a large number of E types took to the track this year. In addition to numerous E types on the track there were C types, D types, XKs, XJC, XJS and specials such as Lister and Cooper Jaguars. 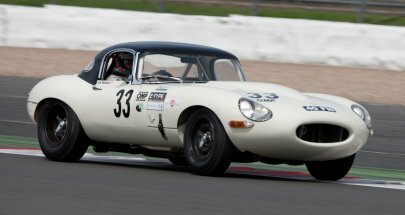 The Minshaw brothers put on a good display as usual and Nigel Webb could be seen campaigning his C and E types with some success, with the C type being co-driven by Anthony Reid. 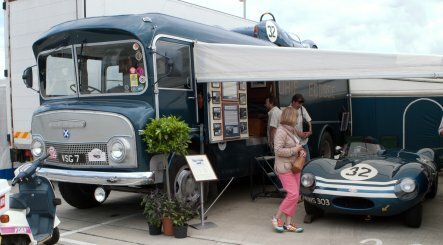 Taking up its usual spot in the paddock was the beautiful Ecurie Ecosse transporter complete with a couple of cars on it. A varied selection of Jaguars used as support vehicles could be seen in the paddocks including Mark 7 and 9. The club displays provided virtually every model over the last sixty years. Various Jaguar personalties were to be seen including Norman Dewis who doesn't seem to slow down despite being in his nineties. The rain stayed away, the weether was reasonable and plenty for the Jaguar enthusiast to see. Roll on July 2013.